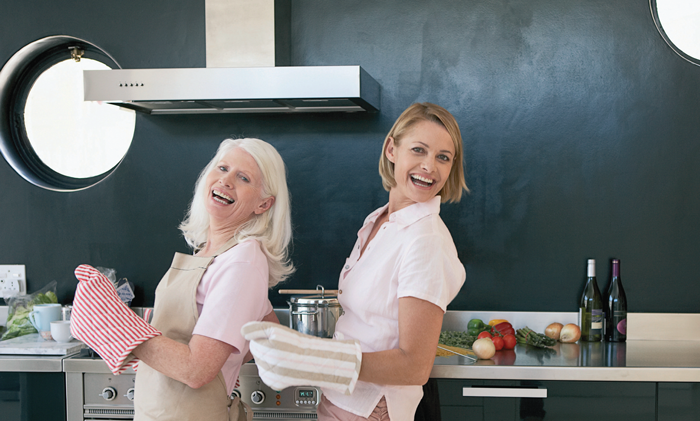 After preparing delicious meals for family, many women are obsessed by unpleasant odors caused by cooking. The smell is not only present in the kitchen, but also spread to other spaces if cannot be handled soon. The most common solution for this problem is a hood. A cooker hood is a divide to collect and vent smoke or odors from the air in the kitchen and can be a focal point in living space. However, some customers still do not believe that hood can bring the expected results. The problem is they do not know how to choose the suitable hood to get the best efficiency from the device. In the market now, there are so many types of hood with different features, specifications… It’s make the customers confuse when choosing a hood for their home. Customers can choose a suitable hood based on its extraction rate by a simple calculus: Extraction rate = Kitchen volume x Coefficient. The coefficient is how many times you want the air in the kitchen changes in 1 hour. If you do not cook frequently and only prepare simple dishes, the coefficient can be 5. If you cook more often with more flavor dishes, the coefficient must be more than 10. For example, you have a 2.5 meters width, 3.5 meters long and 3 meters height kitchen and cook every day, you will need a hood with minimum (2.5 x 3.5 x 3) x 10 = 262.5 m 3/h extraction rate. Consumers also can choose kitchen hood by mounting instruction based on their home structure. There are 2 options of exhaust: venting (ducting) and recirculating. The recirculating exhaust is suitable for apartment or townhouse. Advantage of this exhaust system is very easy to mount. The system uses activated charcoal to filter the air so that the air intake ratio will reduce about 20-30% and the noise will increase slightly. Vented mounting method is used for houses that have space for air to go outside with the mounting is more complex. However, with this mounting, air intake ratio will be higher. Modern hood including two exhaust systems allow consumers to choose vented and recirculating mounting depends on their demands.